Happy Monday everyone, I hope you are having a great start of the week. 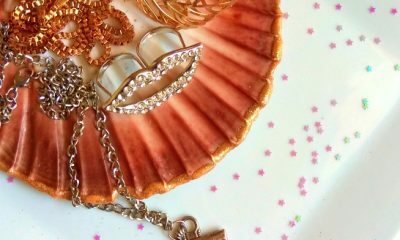 If you are reading my blog for some years now, you may have idea about how much I like up-cycling, recycling and reusing trash materials. 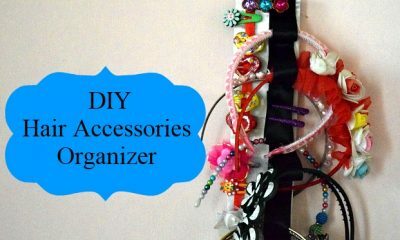 I like crafting them and making ordinary stuff pretty in the easiest way possible. 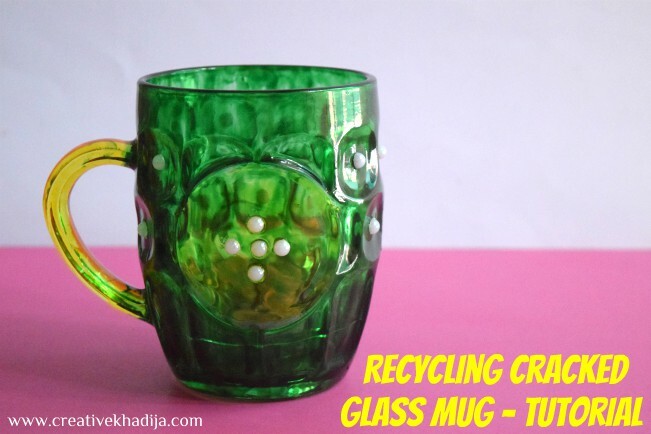 Let’s talk about today’s craft idea now, I am reusing a cracked glass mug today. Have a look how I have done it. Sounds interesting? Let’s see! One of my new year resolution was to drink more water and reduce the tea-coffee intake as much as possible. So I got this big glass for drinking water in it as it contains more than two glasses of water. But right after a week the mug cracked somehow. When I was informed about it, I don’t mind and it was okay to see some craft-able thing! haha..
You can see the crack? There is a line only. I decided to use my glass paints to give it a new look. 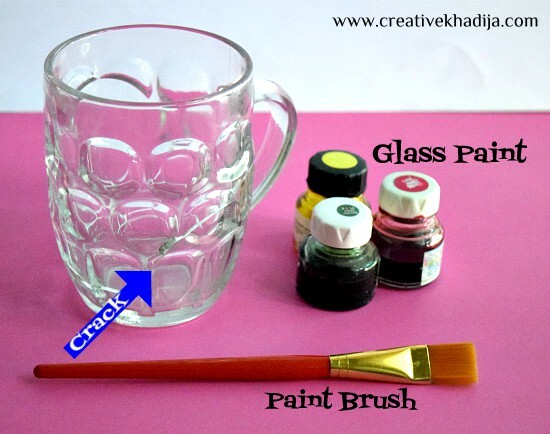 You will need some glass paints, paint brush and any decorative item which you would like to use accordingly. I am only taking some pearl sticky beads here. Why I choose green color here? I have 3 colors of glass paints here but I decided to go with green. Reason behind using the green color was my passion for making the world green with the help of recycling and reusing trash. 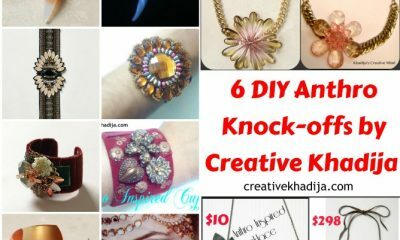 Eco-Friendly crafts are always my priority. The second reason to choose the color green was my love for indoor plants. You may remember I already have a mini plant vine near my craftroom window already but now I am looking for any miniature plant for my desk. I use a flat brush here and applied two coats of green with 10 minutes gap between both coats. I didn’t paint the handle though. not because I was holding the mug by handle but because I was suppose to color it different. Paint brush grains were visible but after getting complete dry, no grain or stroke was visible then. I paint the handle & middle part of the mug circle design in honey yellow color which I have used for painting this food jar. 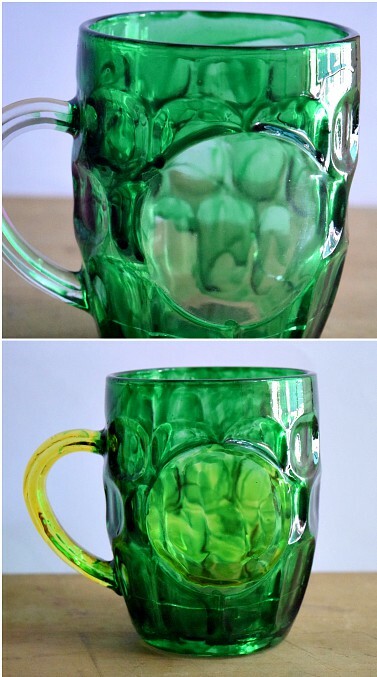 After completing the glass paint, I used some half pearls to paste with design of the glass mug here. 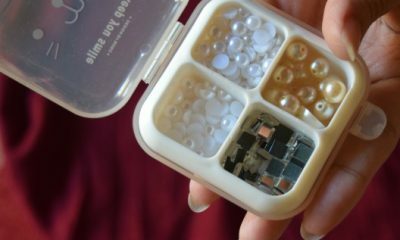 I used transparent glue for pasting the beads. 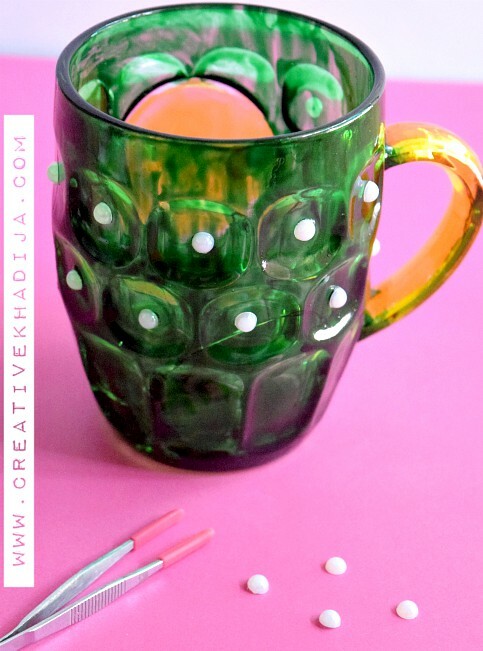 Mug is ready t use again as pencils organizer, plant pot or you can try it as your paint brushes organizer etc. 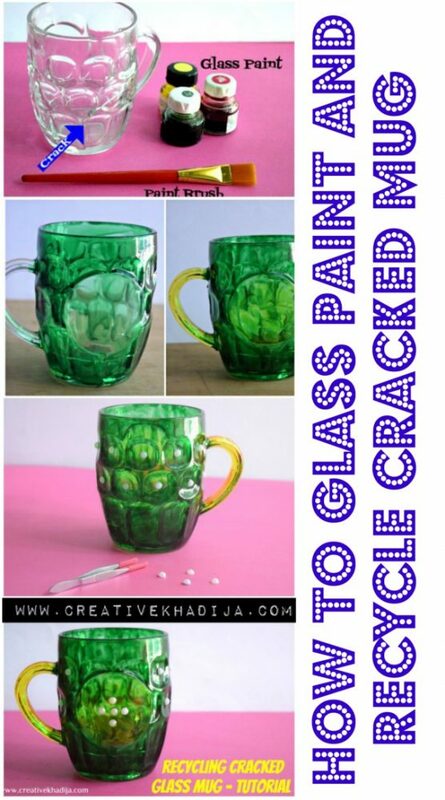 Super simple and quick way to upcycle any cracked glass. Isn’t it the most fun way to design a planter for yourself. I don’t want to decorate it much because it’s just a plant holder, not a decoration piece. I wanted to keep it as simple as I can. So I tried this way. You can design the way you want it. 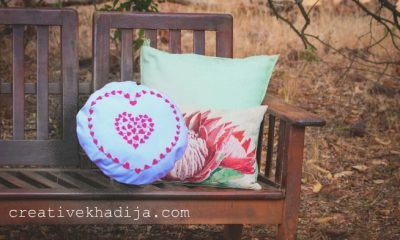 Kids would love to paint as you can try any acrylic paints on it and also with different decorative goodies. 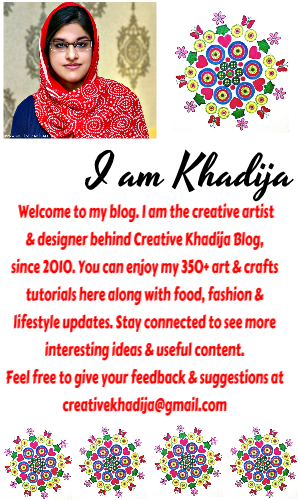 Stay connected to see more art and craft tutorials on the Creative Khadija Blog. Your feedback is always welcome!